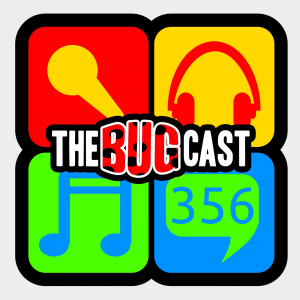 This week on The Bugcast: Dave flies solo, a legend is bowled out, and air-drops into the PRK, plus we play our usual mix of 8 great tracks of Creative Commons music from Melanie Ungar, Marwood Williams, Nate Maingard, Dia Yiannopoulou, Backnbloom, The Vow, Loveshadow (ft. Trifonic and Amelia June), and Far Magic. This week, we mourn the possible passing of Dave’s motorbike, and play possibly our best playlist of tracks for some time. Music from Professor Elemental, Quinti Best Friend, The Kyoto Connection, Tabloid, Wasaru, Going Commando, Erizo and Melodic In Fusion.